Colin Firth as an action hero? 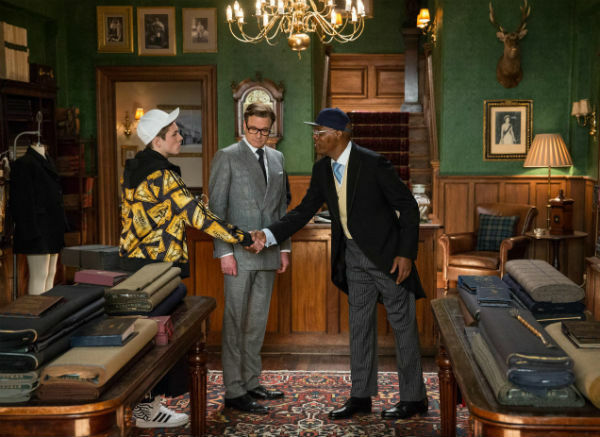 Kingsman: The Secret Service features Colin Firth as the ultimate gentlemen who happens to be a secret agent who takes under his wing 'Eggsy' (Taron Egerton) to become the next up and comer. By his name you can tell it's a fish out of water story right? Low and behold he is thrust into challenges to be the next agent using his street smarts to outwit the posh. Like every good action movie, there is a villain. This time in the form of Samuel L. Jackson who plays the tech entrepreneur Valentine who is a genius combined with a warped ideology makes him completely batshit crazy who naturally comes up with a convoluted plan just asking to be thwarted. Without giving too much away, this movie has a few predictable elements but has enough twists and turns to have me to be fully engaged and had me on the edge of my seat and not looking for the time. Kingman is overly violent for a comedy, and there were several moments when I had to turn away (I'm weak!). But the violence is done more so in a comedic way which made it much more palatable and entertaining. It's also pretty hard to not be seduced by the variety of spy gadgets and gizmos, a lighter that doubles up as a hand grenade? BOOM! And make sure you get comfy in your seat for a brilliant fireworks display. Even for someone who doesn't enjoy movie violence, I really enjoyed it in this case. If you’re into living the Pug life – you won’t be disappointed. It doesn’t take itself too seriously. You actually care about what happens in the film fortunately no tears were shed (it’s not that kind of a movie). 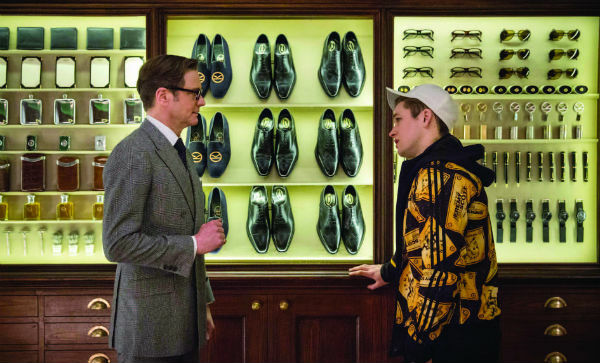 For guys who want that gentlemanly look, you can actually shop the Kingsman range over at Mr Porter. Out February 5 in Australia. I attended a preview screening as a media guest. This post in not sponsored and my raving is a genuine opinion (yes, this movie is that good).